MINSK, BELARUS - JUNE 2016: city center night holiday fireworks panorama 4k time lapse circa june 2016 minsk, belarus. 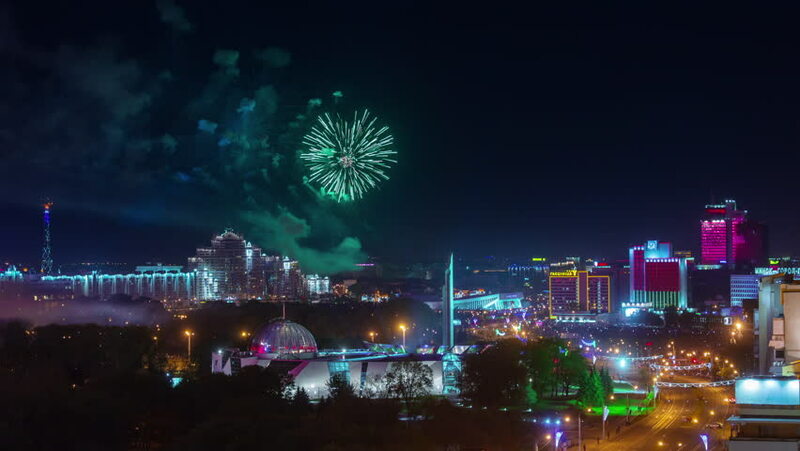 4k00:24MINSK, BELARUS - SEPTEMBER 9 2016: city center night holiday fireworks panorama 4k timelapse circa september 9 2016 minsk, belarus. 4k00:14LOS ANGELES - June 2015: Fireworks display over city of Los Angeles downtown skyline at night. 4K UHD timelapse. 4k00:31Night drone footage of Warsaw's city centre while beautiful fireworks show. 4k00:22Night Drone Footage of Warsaw's downtown with colorful firework show. 4k00:10An extreme high angle wide shot of the fireworks during New year's eve. Small boats are seen in the harbour.